Type: 4-Cylinder 4 Door Saloon Manual. According to www.newreg.co.uk This registration was first made available in 1968. The original office for this letter combination is Devonshire C.C. 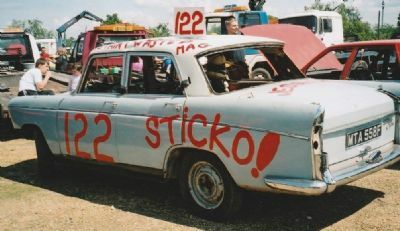 Modifications: Stripped and Prepped for Banger Racing.